Four weeks, just four weeks left until my next half marathon. The anticipation and excitement are building. This race is a bit different than the other halfs that I have run in the last few years. I have a real specific goal (sub two hours), it’s actually a “hometown” race (all my other halfs have been out of town) and I have followed a “real” training plan! Lol if that makes any sense!! 😊 When training for my previous half marathons, I’ve followed a pretty basic 10 week beginner training plan I found online. I’m not saying it wasn’t helpful or worthwhile, not at all. It was really good for me as a beginner. But, here I am, 3 years into running half marathons and I really have a goal pace and time in mind, so I needed just a little more. Well…..I got that little more! 😜 I got it through my local Fleet Feet store (Fleet Feet Mechanicsburg) I am currently a part of their half-marathon training program and couldn’t be happier with it. I know that 95% of the work and effort is coming from me and the runs and training I put out there. But that other 5% had been missing until now. What is the other 5%??? The team aspect of the group. We run together at least twice a week as a group and this is a 14 week program. I have gotten to know these people, they become friends and their achievements become something of pride for me too. I can say I ran with her or I was there cheering for him when he crossed the finish. Training with this group is such a motivator for me. I am the type that is really “pushed” when there is an audience and I am really enjoying running with these people. There is also a certain level of accountability and good ‘peer pressure’ with the program. You know that everyone is meeting Sunday morning bright and early for the long run….do you really wanna be the one that doesn’t show up?!?! 😋 And then there are the questions, how were your runs this week or how’d you feel on your long run? For me, that’s the good kind of peer pressure! That’s the peer pressure I want! Last but not least is the variety in this program. There are long runs, tempo runs, speed work, circuits, progression runs and so on. 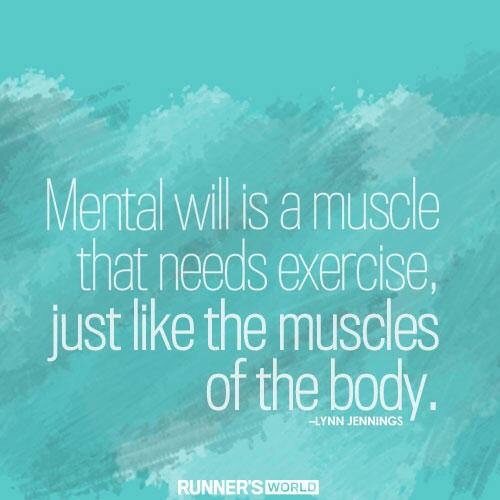 I’d love to think of myself as a fairly decent runner but I am not to the point where I can come up with an original and beneficial training program!! And guess what?!? I don’t have to! Lol I love it! So, here begins the final countdown to my goal of a PR Sub 2hrs ‘Hometown’ Half-Marathon race!! 😊👍🏻 I am feeling well prepared and well trained and I can’t wait to see that finish line!!! Previous Run smart or run stupid? That is the question. Next Stay together for the kids? ?